I love baking with pudding mixes, they make everything so yummy! I have a recipe for Pistachio Cupcakes that has been a favorite since I was a little girl. 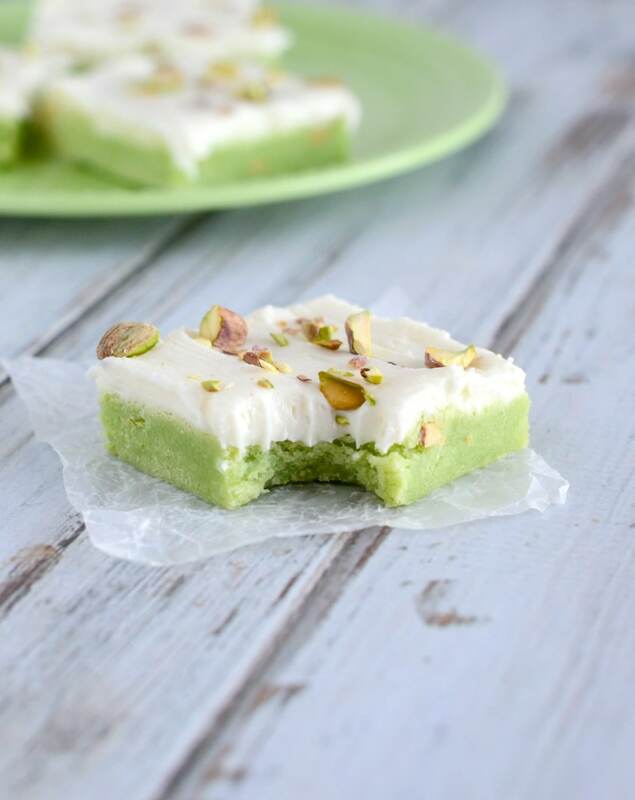 These Pistachio Sugar Cookie Bars are similar. 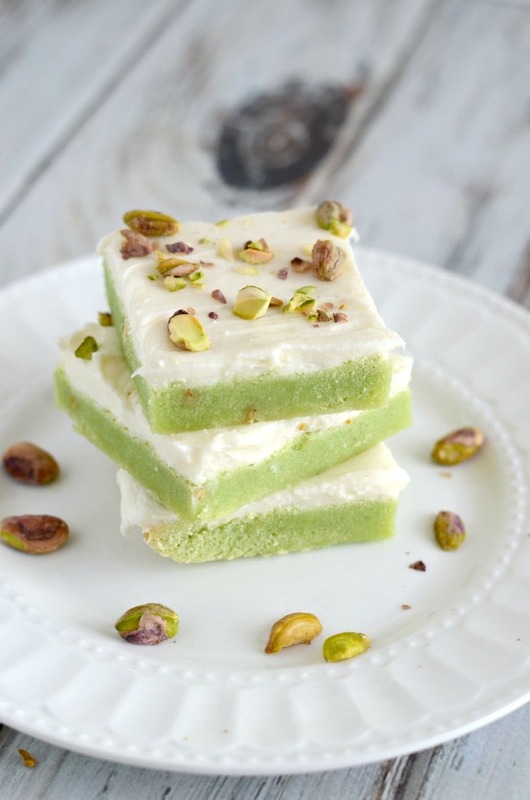 Both start with pistachio pudding mix, and both are topped with cream cheese frosting. Both are absolutely scrumptious! I just recently discovered the joy of sugar cookie bars. All of the flavor of sugar cookies, but so much easier to make! Just press into the pan, bake, frost, and cut. So simple, but oh so delicious. 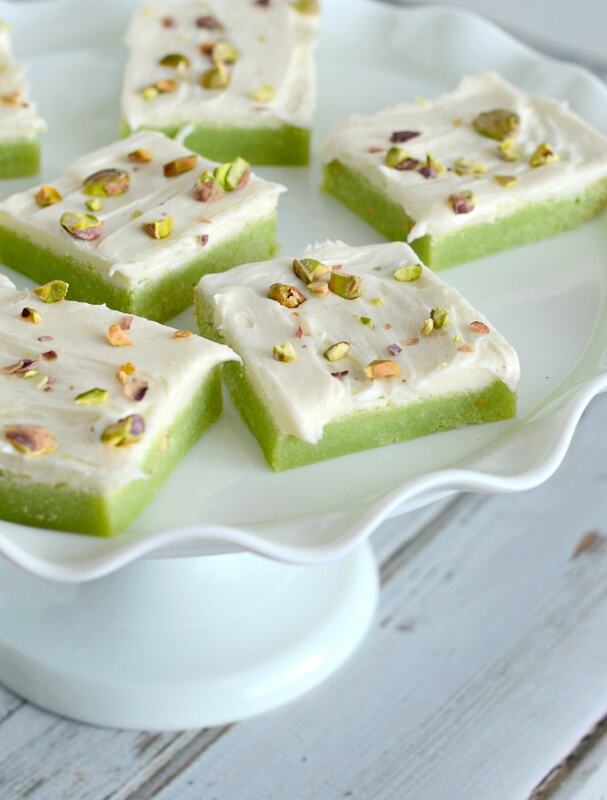 Soft and chewy Pistachio Sugar Cookie Bars with cream cheese frosting. An easy treat that everyone will love! Cream butter, dry pudding mix, and sugar in a large mixing bowl till creamy. Beat in eggs, vanilla, and almond extract. Stir in the flour, baking powder, and salt. Press dough into the bottom of a greased 9x13" pan. Bake at 350° for about 20 minutes, or till lightly browned on the edges. Cool completely, then frost. Garnish with chopped pistachios. Beat cream cheese and butter in a small mixing bowl till smooth. Add remaining ingredients and beat till smooth and creamy. 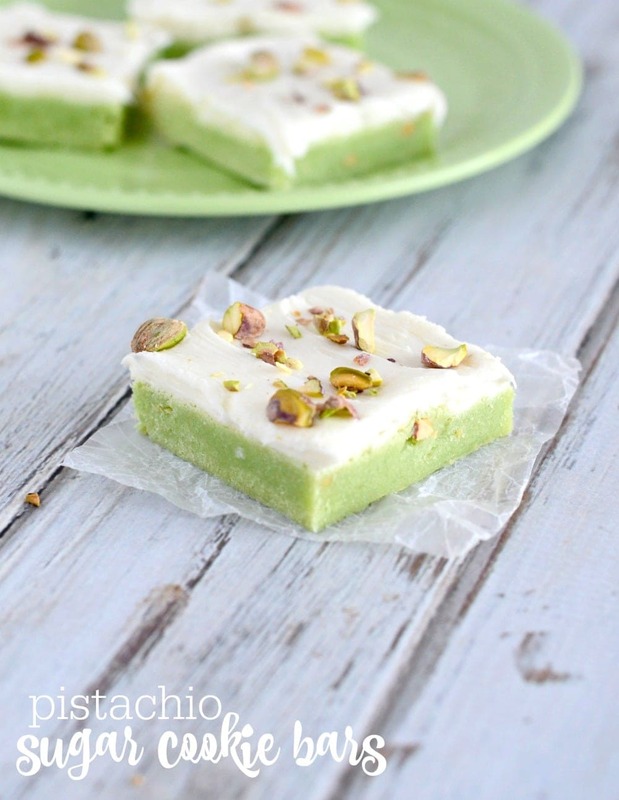 Spread over cooled bars and sprinkle chopped pistachios on top. Thanks for sharing with us Kara! 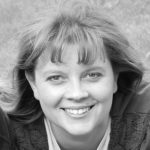 For more delicious recipes by her, go visit her over at Creations by Kara. Where do you get the pistachio pudding mix? Can you get this at Walmart? I live in Canada, I’m obsessed with anything pistachio !!!! Really want to try this !! Thanks for sharing. Yes, you can!! It’s a new favorite flavor of mine, but my hubby loves it!!! Hope you find it!! Thanks! Can you tell me. 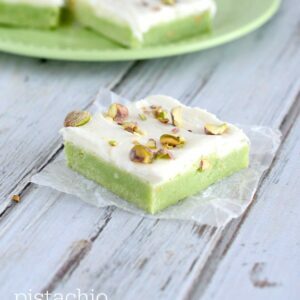 Does the pistachio cookies bars need to be refrigerator? I think they would be fine out, as long as they are covered or in a container. But, they can go in the fridge, too. They would be ok either way. Hope that helps! I’ve made these 3 times now….and have eaten the majority of them….haha. I’ve made them lactose free too, with lactose free cream cheese and butter. They were more “dense” and heavy tasting, but still very good. I have tried topping with green jimmies and chopped pistachios, and prefer the jimmies. They aren’t good right out of the oven, or even right when you frost them because they are too soft and the frosting isn’t set. Refrigerate for best taste and texture! Wonderful!! Thanks so much for the tips 🙂 So glad you like them!! I’ve made them twice now. They are really good! We prefer them refrigerated as well, just let them sit out for 5-10 minutes before cutting. Making them again this weekend! Thanks for the great recipe! So, happy to hear that!! Thanks so much & you are so welcome! I love to hear that! Thanks so much for letting me know! Thanks for sharing this easy to follow recipe. Made a batch of them couple days ago and my son really loved them. Oh, that makes me so happy to hear!! Thank you for sharing! Glad he liked them! Should these be kept refridgerated? Kristyn! I am working on starting up my own food blog and have loved your recipes posted on Pinterest! So yummy! My family loves your Spanish Rice recipe especially! I would love any advice/tips thrown my way! Thanks! Thanks so much!! I am glad you like them 🙂 Do what you love, take pictures of what you love, find ways to make recipes your own & make what you love. You will enjoy it more. Hi. Flour and almond extra in the INGREDIENTS is listed twice. i have made these multiple, multiple times for the therapists where I go for PT. I love them, they love them, we all love them. I make the recipe as written and it easy and very yummy. I especially love the Frosting- so light! Thanks for sharing the recipe 🙂 I am so glad it is liked by everyone! Kristyn! Thanks for the great recipe! You are so welcome!! Glad you liked it!